7. 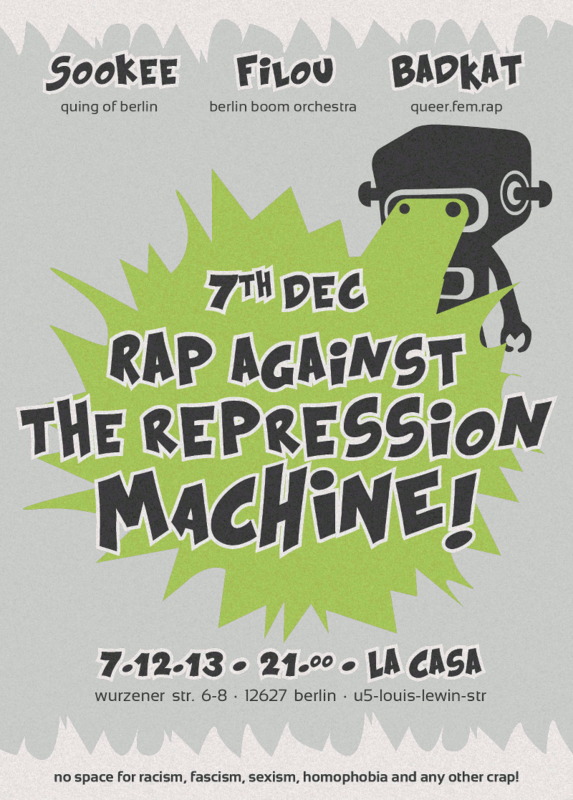 Dezember 2013: Rap against the Repression Machine! Sookee (Quing of berlin) Filou (Berlin Boom Orchestra) Badkat (Queer.Fem.Rap) no space for racism, fascism, sexism, homophobia and any other crap!